Boaters are always on the go, but the very things that keep them on the go – their motors – need regular maintenance and care. Yamaha Outboard Motors needed a way to help keep boaters connected with their dealers, so that they could find them no matter where life, or their Yamaha motor, took them. Most importantly, Yamaha wanted to easily communicate with their boaters to maintain customer satisfaction levels. With the help of its partners, viaPlace created a mobile registry of Yamaha dealers. Yamaha’s network of over 2,000 dealers nationwide was imported into viaPlace’s online registry to feed their dealer locator iOS and Android application. Users can search for locations by dealer name, ZIP code, or state. 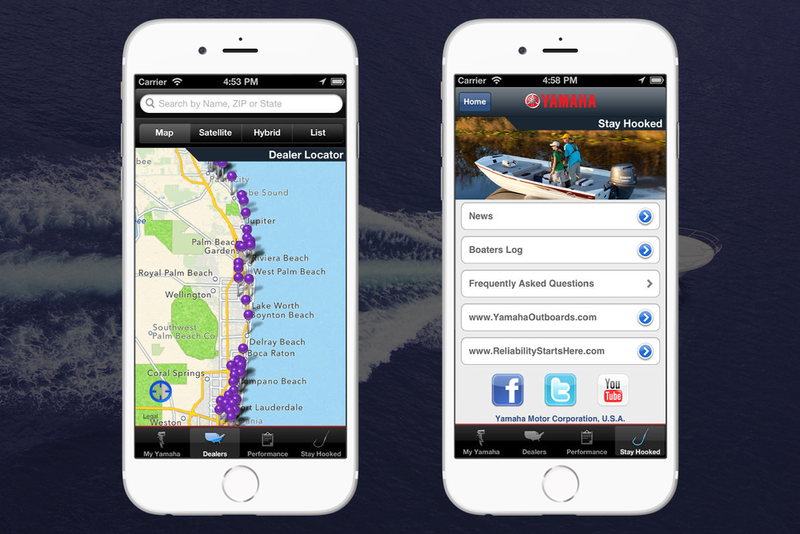 The application’s additional features allow users to track their time spent in engine break in, find answers to frequently asked questions, and access maintenance schedules associated with their Yamaha outboard motor. 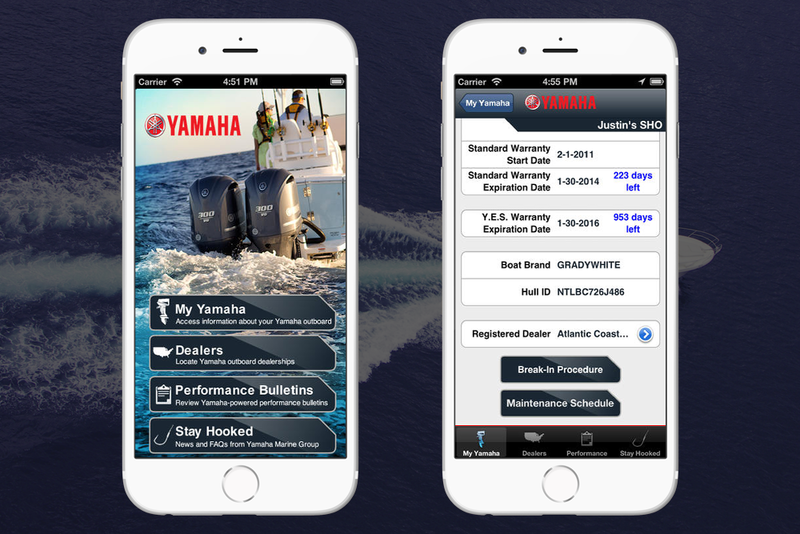 More than a tool, the app reinforces Yamaha’s brand standards of friendly, reliable service. The application aggregates service data and consumer records in order to provide a way for users to check on their warranties and find local dealers.